Whether you are thinking of taking your pet on an adventure, or you need logistical advice for a home move, we share essential tips to make sure you and your pet aren’t parted along the way. Travelling to Europe with a pet is becoming more common. It helps avoid costs at kennels and catteries, and it allows everyone to enjoy the companionship of the family’s ‘best friend’. As well as holidaymakers taking pets across borders, there are also many people with second homes overseas that want to keep their pet with them at all times. Here’s what you need to know to travel with yours. This scheme allows cats, dogs and ferrets to be taken from the UK to Europe and back again without the need for quarantine. There are, however, entry requirements that need to be met. Note that your pet must be microchipped prior to vaccination, or the record won’t count. Also, be aware that you must wait 21 days from the date of the rabies vaccination before travelling. Finally, to make sure that your dog is allowed back in the UK, a tapeworm treatment must be administered one to five days before you are scheduled to arrive back in the country. 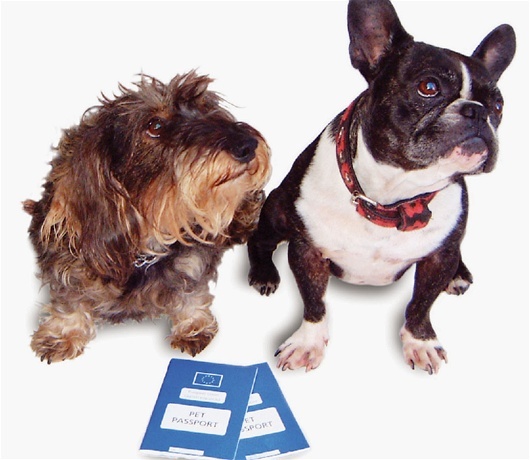 This is a collection of paperwork that has your pet’s microchip number recorded on it and details of any vaccinations and treatments your pet has had. Each time you visit the vet, it is essential that your vet updates and records the chip number on the vaccination record. To comply with PETS, you must use an “authorised carrier and an approved route”. Fortunately, pet travel is quite widely accepted and you will find that most mainstream ferry companies allow pets, as does Eurostar, and many airlines. Note that budget airlines such as easyJet and Ryanair do not offer facilities for pets, although guide dogs may be an exception. There are two downloadable lists available that cover approved routes, these can be found by searching for: gov.uk pet air routes and gov.uk pet sea and travel routes. Before pushing Pooch onto the next ferry, you should carefully consider if the trip is suitable. Sub-zero temperatures in the Alps, and baking hot beaches in southern Spain could cause your pet extreme discomfort. If you do decide that your destination is a good place for your pet, it is also recommended that you take a trip to the vet for a pre-travel check. The Animal Welfare Foundation have an informative downloadable leaflet on pet travel Taking your pets abroad.pdf and further information can be found on the pet travel overview on the gov.uk website. Don’t forget your pet insurance! You’ll find all the info you need on our dedicated pet insurance page! This entry was posted in Fun, Travel Advice, Uncategorized on October 20, 2014 by worldwideinsure.